Minister of Environment and Climate Change Strategy George Heyman speaks at the announcement of a social housing retrofit initiative on November 22, 2018. Photo: Province of B.C. “Today is a good day for Canada. British Columbia has introduced a bold plan that promises to power up the clean economy and get the province back on track to its climate goals. British Columbians can take pride in the fact that the CleanBC strategy contains several policies that are far ahead of the curve in Canada and North America. “This forward-looking plan signals an exciting vision for a clean economy. In just over 10 years, all new homes and buildings will be low carbon. More electric vehicles will be on the roads; in just over 20 years, all new cars sold will be zero emissions. Going forward, we will generate more clean electricity and renewable fuels, and burn less oil and gas. 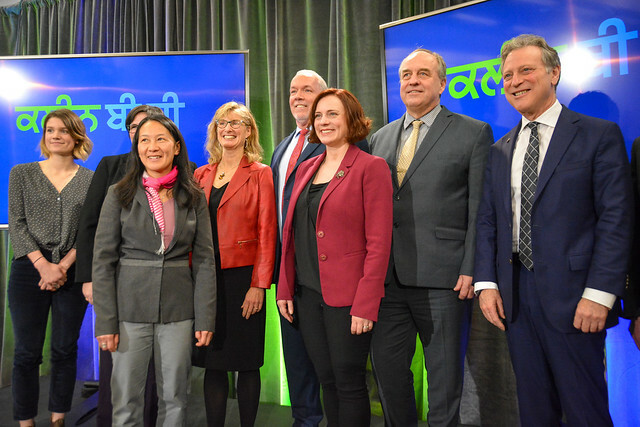 “The plan aims to support all British Columbians — for instance, by making social housing safer, more comfortable, and more affordable to heat, and by getting remote communities off diesel generators. 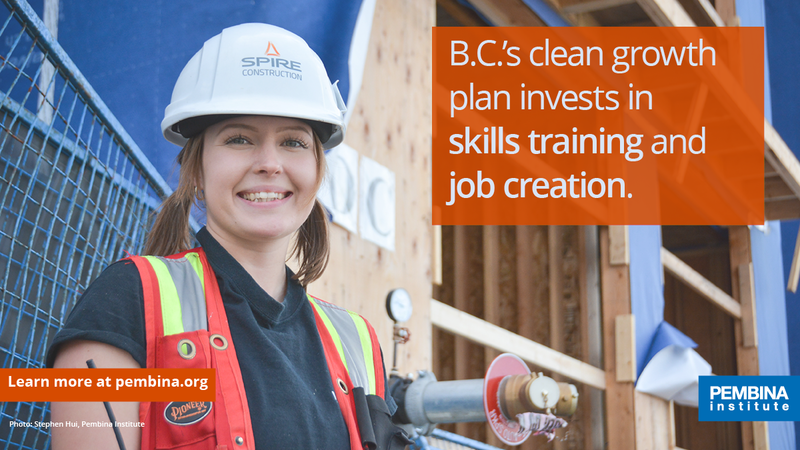 Today’s strategy prioritizes innovation and skills upgrading — with dollars to increase capacity to produce renewable fuels in B.C., and provide training so we have the workforce to construct low carbon buildings and repair electric vehicles. “This puts B.C. on a path to getting 75 per cent of the way to our 2030 target for reducing carbon pollution. We still expect to see a plan that demonstrates how we will fully meet B.C.’s climate targets. The government has indicated the remaining areas where we need to cut emissions and given itself a deadline. We will continue to work with government, businesses, and communities to bridge the gap. Let’s keep up the momentum. Carbon pollution cuts through initiatives involving waste, community planning and transit, freight, industrial electrification, clean electricity, agriculture, and technology are needed to close the 6.6-Mt gap to B.C.’s 2030 climate target. By sector, industry is responsible for 40 per cent of B.C.’s carbon pollution, transportation for 38 per cent, and buildings and communities for 22 per cent. To meet its 2050 climate target, the Pembina Institute estimates B.C. needs to retrofit 30,000 houses, 17,000 apartment units, and three million square feet of commercial space each year between now and then. Letter: A climate accountability framework for B.C.